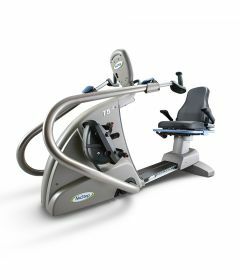 A Nustep recumbent cross trainer offers numerous advantages over other forms of gym exercise equipment. Its accessibility, ease of use, and safety make it a preferred choice in many homes of private users, physiotherapy clinics, hospitals and seniors residences. Nustep exercise machines accommodate more users by offering a comfortable seated position, variable step length, and instantaneous starting and stopping. The Nustep T4r and Nustep T5XR are the preferred exercise device in Cardiac Rehab programs accross Canada. For more information on how to order a Nustep please click here. 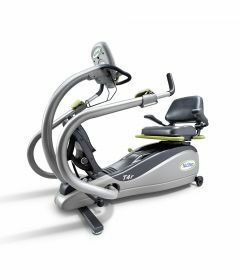 OrthoCanada also offers other gym equipment and cardio equipment, including exercise bikes, recumbent bikes, rowing machines, and more.